Maureen is a visual artist, passionately, inspired by nature, capturing the images she comes across on walks & in the countryside or by the coast. Using a variety of methods & techniques, each piece of her work bears her hallmark. She has two distinct styles, abstract & figurative, which are demonstrated in her three collections - Vibrant, Coastal & Serenity. 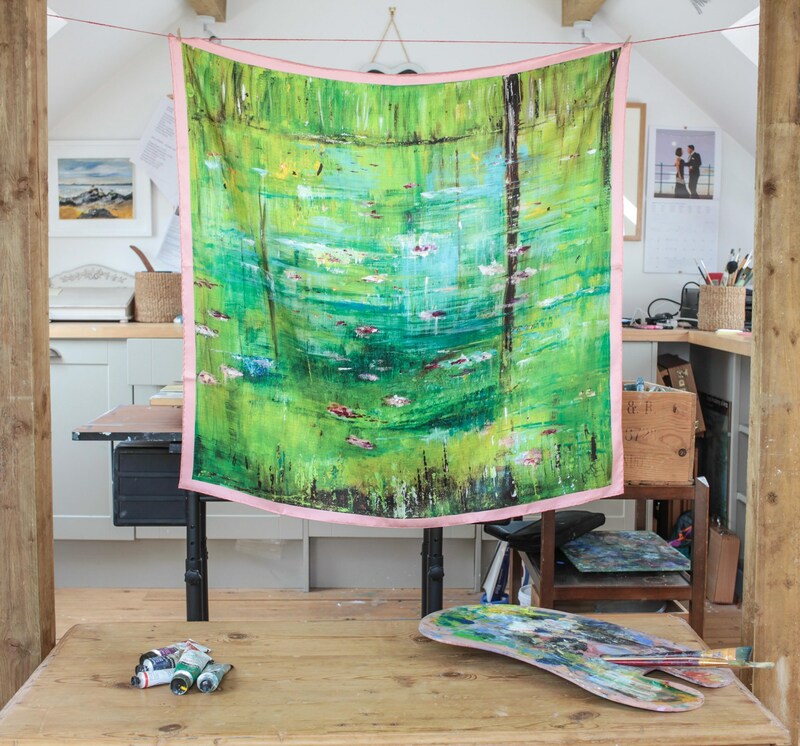 Maureen is always exploring new ideas & can be found in her Rosemary Studio, where she works most days. A selection of artwork from my Vibrant, Serenity and Coastal collections. Delighted to announce the launch of my silk scarf collection. All designs are from my original artwork which have been carefully scanned to produce a bespoke product that exemplies the final piece. The Scarves, handmade in the UK of 100% silk beautifully compliment any occasion. All images shown are original unique paintings available to purchase. I make a small number of Limited Edition Giclée* prints of certain paintings and a range of greetings cards. To buy, please go to the Contact page. *All framing is done by Rick Brownsill. Giclee prints and cards by Brian Peat - CHROMAtech. A collaborative project with more information. PLEASE NOTE ALL ART WORK ON THIS WEBSITE IS THE PROPERTY OF MAUREEN GILLESPIE AND IS COVERED UNDER THE COPYRIGHT LAW.